We're here to help all those doggy designers get noticed and to promote their work! We'll be arranging regular Market Nights and sharing offers/giveaways/items from all of our Doggy Delights members! 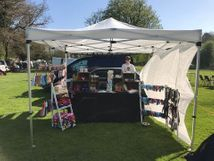 If you would like to be involved in the Doggy Delights Market Nights, please request to join our group where we manage and arrange the events.